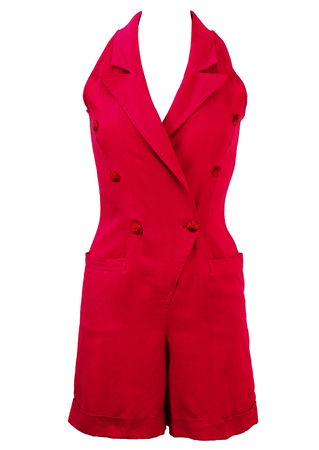 Hot pink halterneck playsuit with a peak lapel collar detail and double breasted buttoning. 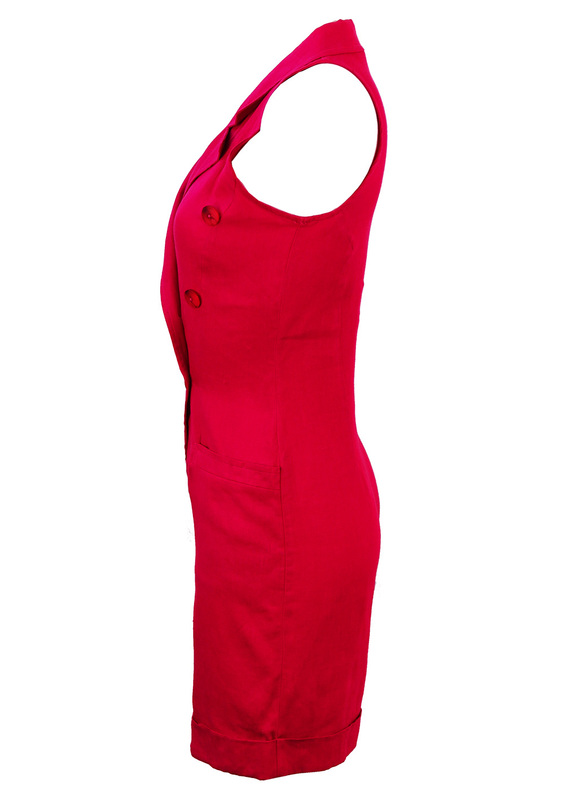 The garment has neatly tailored front seam pockets and is 100% linen. Hips Measurement is taken below the waist at the hip. Inside Leg Measurement is taken from the top of the inside leg to the lowest point of the hemline. Length Measurement is taken from the shoulder to the lowest point of the hemline on the garment. To ensure that the length in body from the crotch is not too short, we also provide a length measurement from the top of the shoulder or strap to the crotch. 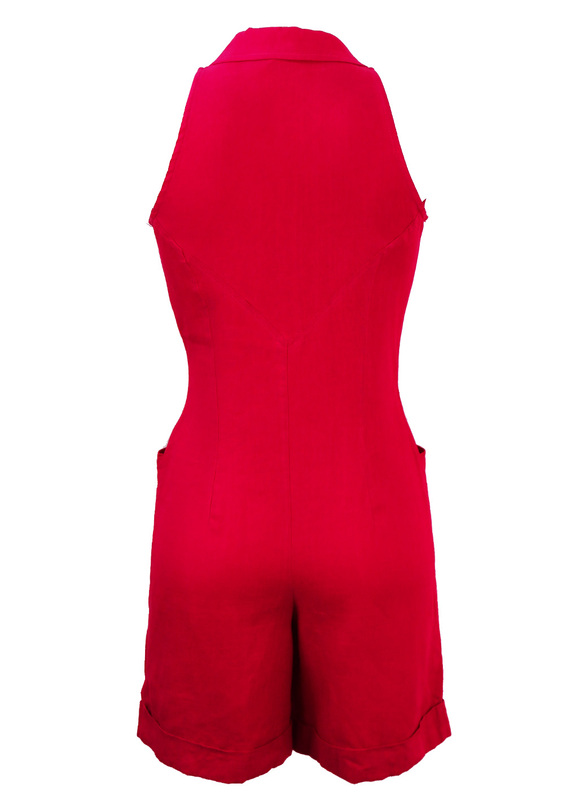 If the jumpsuit is strapless the measurement is taken from the highest point of the garment.